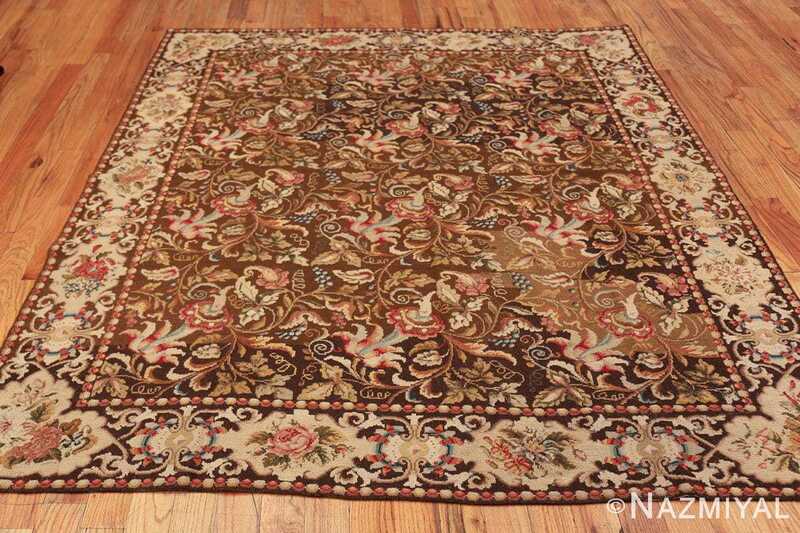 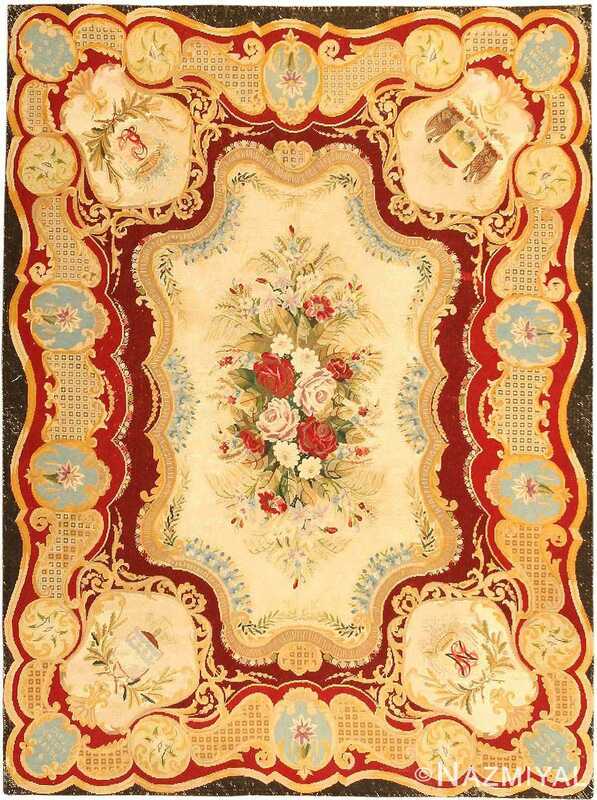 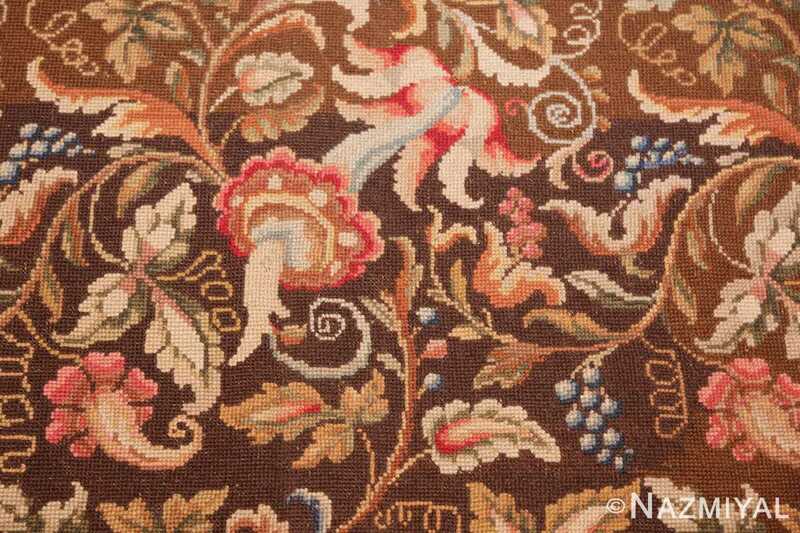 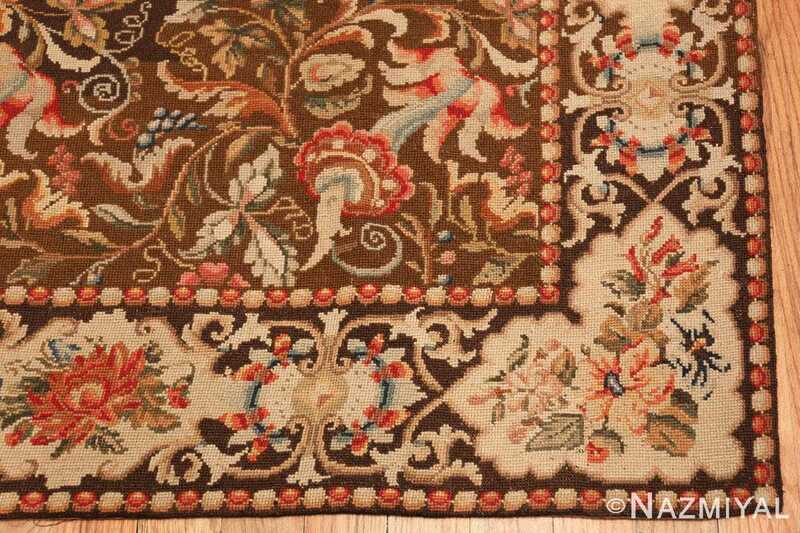 Beautiful Floral Design Antique English Needlepoint Rug, Country of Origin: England, Circa Date: Mid To Late 19th century – Needlepoint rugs are designed to showcase an elegant yet dramatic amount of detail. 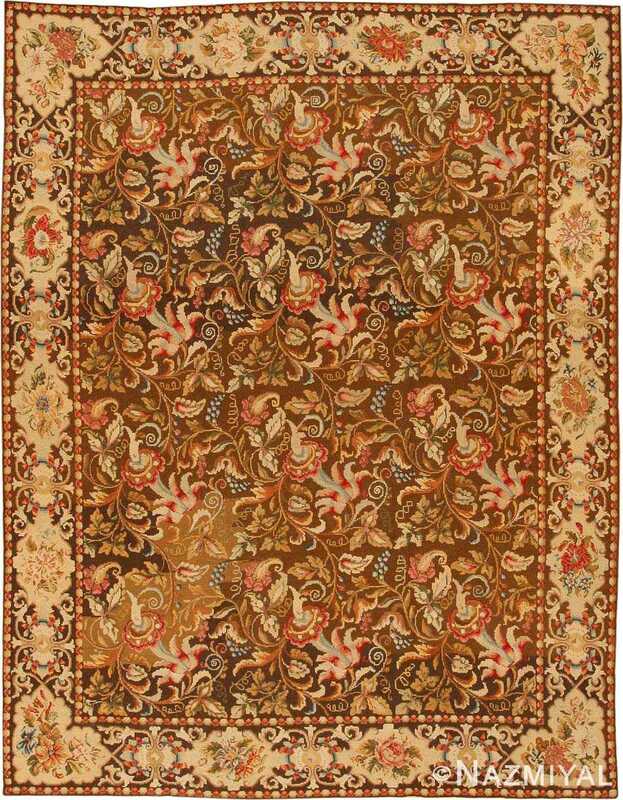 In this impressive flat woven antique English needlepoint rug, the viewer is free to explore the landscape within, marveling at the fine lines and details imparted to the various sections of the English rug. 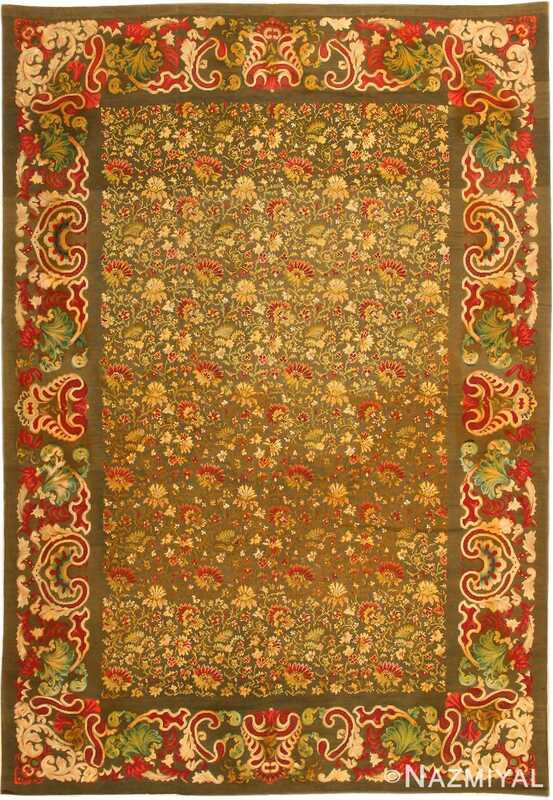 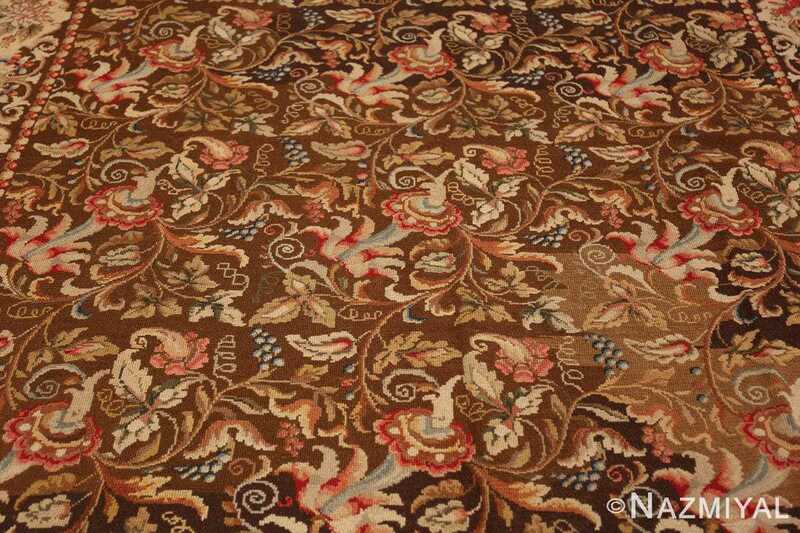 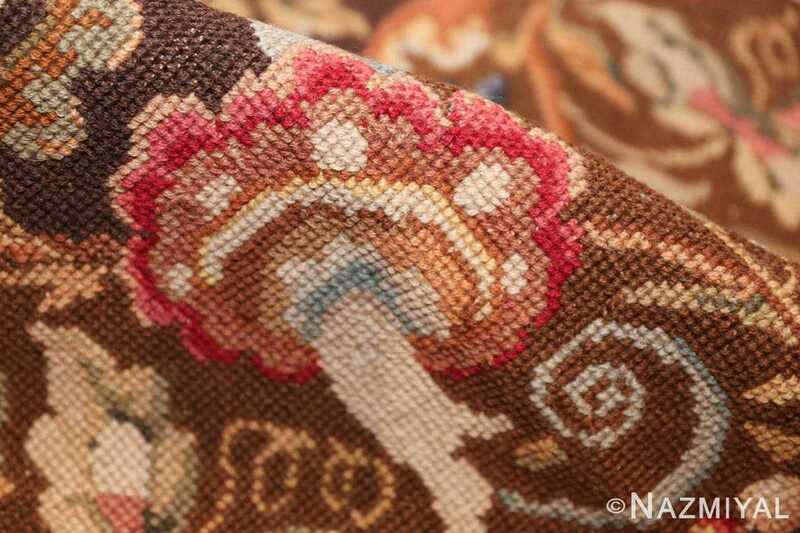 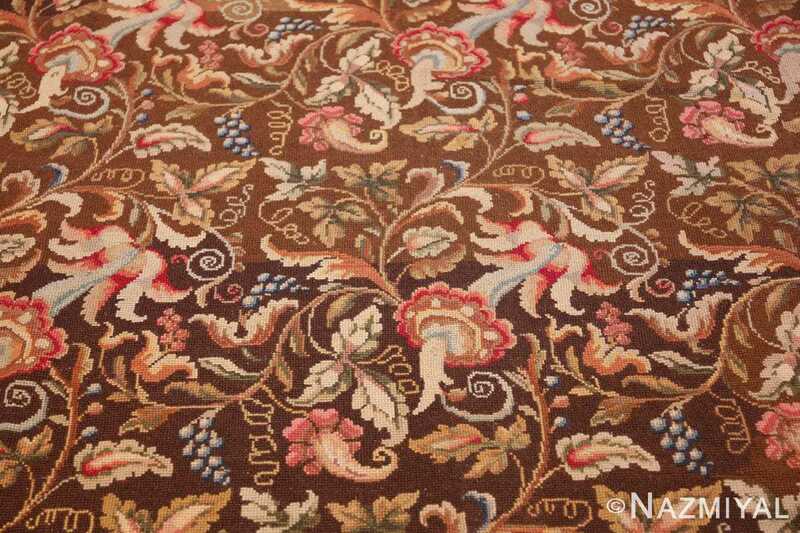 The most notable activity occurs at the very heart of the antique rug, where a multitude of flowers and blooms seem to roll around each other in a beautifully waving network. The outlines of the borders provide the viewer with necessary grounding as they navigate through the floral landscape, and the dark tones stand out well against the lighter ones in order to draw attention to both the negative and positive space of this mesmerizing floral antique English Needlepoint rug. 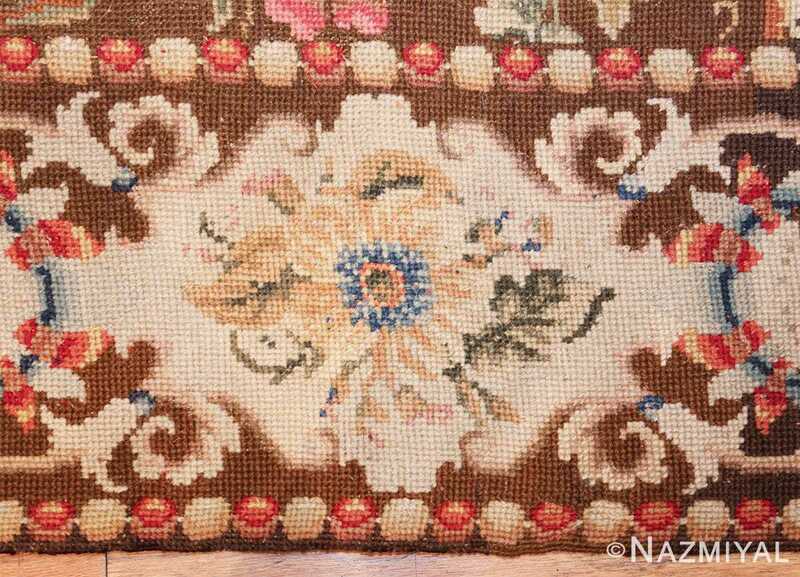 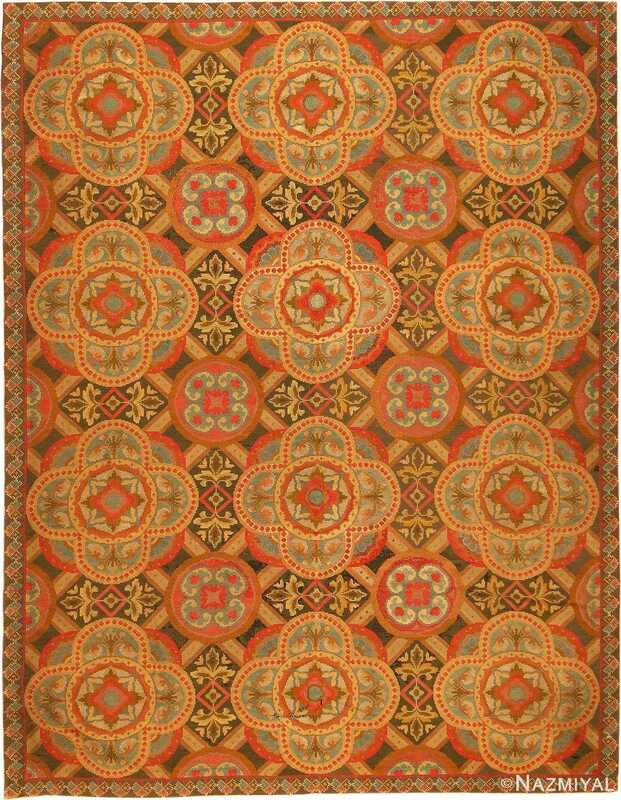 This stunning antique English needlepoint caret has ag highly unusual Medieval pattern of scalloped quatrefoils and broad strapwork bands.